Vibrant Health Ayurveda + Yoga in Boulder, CO uses holistic health therapies to bring you back into vibrant health. My intention is to help you develop your own health and spiritual antennae in order that you begin to bring in your own shifts. Initially I guide and teach you but then you become adept at how to use the therapies and tools on your own. You become both the healer and the healed. You will begin to move through life consciously, feel more unified within yourself, and feel nourished by nature and your unique purpose in life. See our services page for detailed descriptions of each service and prices. Also please look at the contact page for a list of current classes and events in the Boulder and Denver areas of Colorado. 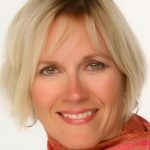 Mary Bruck, Advanced Doctoral Ayurvedic Practitioner, Tantra Hatha yoga teacher, herbalist, panchakarma therapist, Ayurvedic body treatment therapist, and vedic therapist. My intention is for you to discover your true purpose in life (vedic therapy) and help you harmonize your inner and outer environments to support that purpose through the use of herbs, diet, lifestyle, yoga, meditation, body therapies, cleansing and rejuvenation techniques, aromatherapy, crystal therapy, vedic therapy, and other techniques. After working together for a period of 3 to 12 months generally, you will have gained the knowledge and tools on how to guide and shift your own well-being on a physical, emotional, mental, and spiritual level. Mary has a unique understanding of eastern and western health. She has a background in nursing studies and in math, science and engineering as well as in yoga and Ayurveda. She is also registered with NAMA, the National Ayurvedic Medical Association and COLORAMA in Boulder, CO (the Colorado Ayurvedic Association). Her training also includes ayurvedic cooking, aromatherapy, crystal therapy, how to make custom oils, herbal formulas, salves, tinctures, syrups, and herbal balls for those who have a hard time taking capsules or loose powder herbs. She is currently studying under Rod Stryker in the ParaYoga Master Training Program and taking her Vedic studies for Vedic Astrology at the Vedic Institute under Dr. David Frawley. Her background includes a B.S. degree in computer science, and partial completion of nursing studies. Her passions are: science, health, nature, and dogs. I have always been keenly interested in health, nature and science. I grew up watching lots of PBS specials and Jacques Cousteau. I had the best biology teacher in my small Midwest high school who absolutely sparked my interest in biology as well as continuing studies in all branches of science. Because everything fascinated her, everything fascinated me. I loved pouring over encyclopedias for hours. I became hooked on physics and chemistry as well. I began to understand how things worked and how to unwind mysteries to root causes. This is the heart of all science. Ayurveda and Yoga are sciences. Ayurveda unwinds our health issues to a root cause in the language of Vata-Pitta-Kapha. Both Yoga and Ayurveda help us unwind our negative thinking patterns to a few root causes or what we call vasanas which are deeply rooted tendencies attached to our soul. Perfect Health and enlightenment are attained when we have successfully eliminated those causes in the body, mind, and spirit.